Bob Dylan's The Bootleg Series Volume 9 – The Witmark Demos will be released on Tuesday, October 19th, in conjunction with the re-release of the artist's first eight long-playing albums in a box set titled Bob Dylan – The Original Mono Recordings. Both sets have been long sought-after by collectors and fans worldwide, with The Witmark Demos seeing their first commercial release nearly five decades after they were first recorded, and The Original Mono Recordings returning to the marketplace for the first time ever on CD as well as on fully analogue 180-gram vinyl. Both are now available for pre-sale with an exclusive t-shirt and limited edition 18x24" Bob Dylan poster at SonyMusicDigital.com/bobdylan. You can also pre-order the CD or vinyl sets at Amazon. 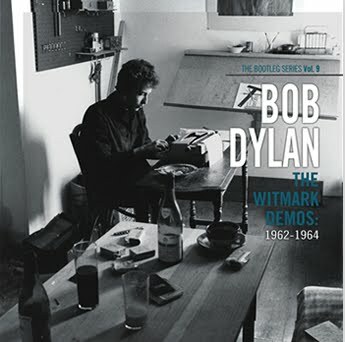 The Witmark Demos features 47 Bob Dylan songs recorded by the artist accompanied only by his acoustic guitar, harmonica and occasionally piano on 2 CD or 4 LP 180-gram vinyl. All of these songs were written – and their subsequent demos recorded – before Bob Dylan turned 24 years old. Among the many gems are 15 Bob Dylan songs that were recorded by the artist only for these sessions, and which have never been officially released to the public until now. These include the plaintive "Ballad For A Friend," the civil rights era-inspired "Long Ago, Far Away" and "The Death Of Emmett Till," and the poignant "Guess I'm Doing Fine." 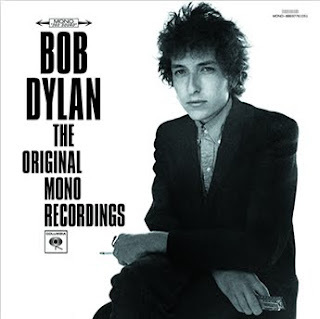 The Original Mono Recordings is comprised of Bob Dylan's first eight long-playing albums, painstakingly reproduced from their first generation monaural mixes as the artist intended them to be heard. These eight albums – spanning the artist's self-titled debut in March 1962, through John Wesley Harding released on December 27, 1967 – are universally regarded as some of the most important works in the history of recorded music. Together with The Witmark Demos, they provide the public with a wide-ranging view of Bob Dylan's work during the 1960s, and chronicle his amazing evolution from fledgling songwriter to one of the world's most inventive and singular recording artists.